In case you forgot, Ray Allen played for the Bucks, and he was NASTYYYYYYY. No seriously, check out his 47 point game vs the Hornets. 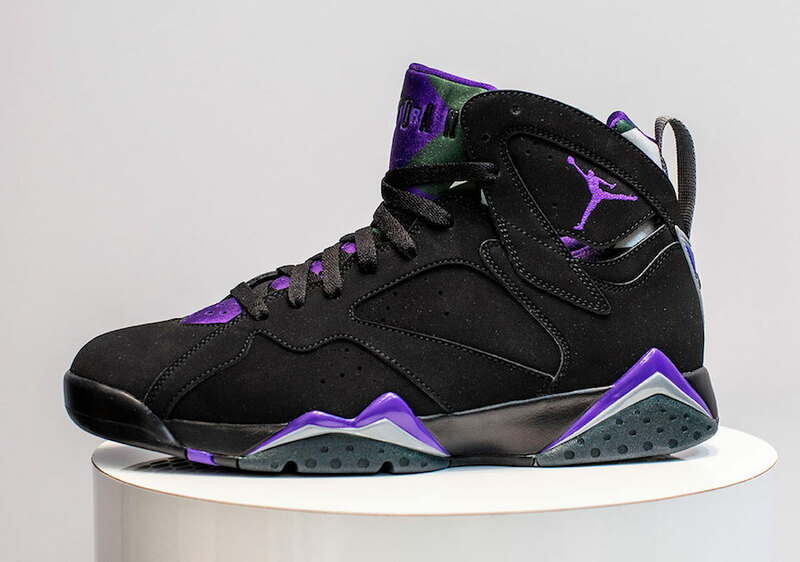 Jordan Brand is honoring the all-time 3 Point leader with a shoe inspired by the team he donned first, with the Air Jordan 7 “Bucks”. 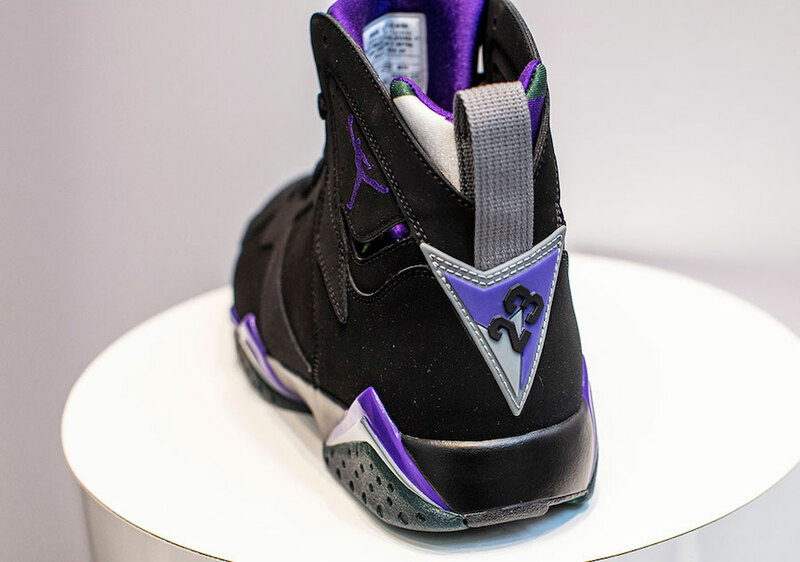 The shoe features a black nubuck upper, with Fierce Purple, Dark Steel Grey and Green accents towards the bottom of the shoe. The color way is from the Milwaukee Bucks jerseys from the late 90′s, when Ray was dunking on heads in that uniform. My favorite feature of the shoe definitely has to the be the insole, which features the Ray Allen logo, including a little Ray Allen silhouette, doing what he’s known for: knocking down that trey ball. This isn’t the first time that Jordan Brand has honored the longtime Jordan Brand athlete. In 2011, the Air Jordan 13 Ray Allen PE was released and immediately turned heads. That shoe was inspired by Ray’s years with the Celtics, where he received his first NBA Championship in 2008. The shoe also reminds me of the Chambray 7’s, that released in 2006. I think these joints HIT. 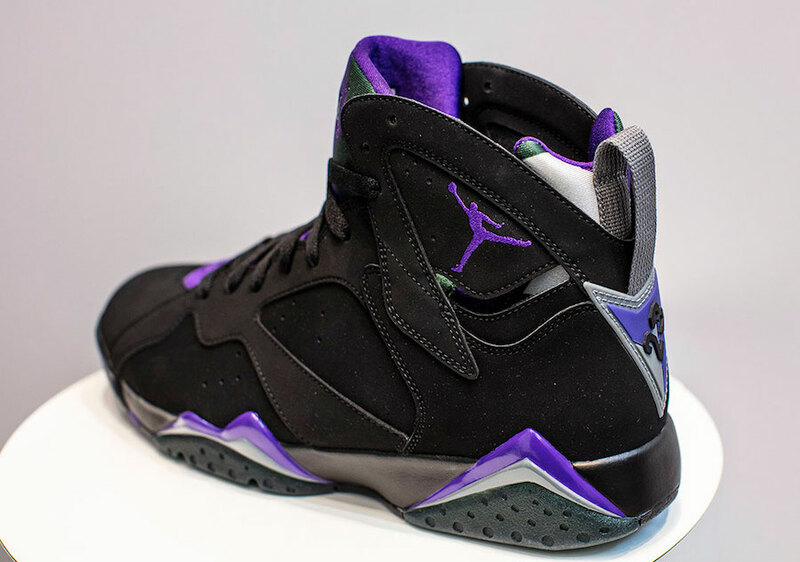 The Air Jordan 7 “Bucks” is expected to release on June 22nd, 2019 at Jordan Brand retailers, Nike.com, as wells as the SNKRS app. I expect this shoe to be a quickstrike, rather than a full GR. 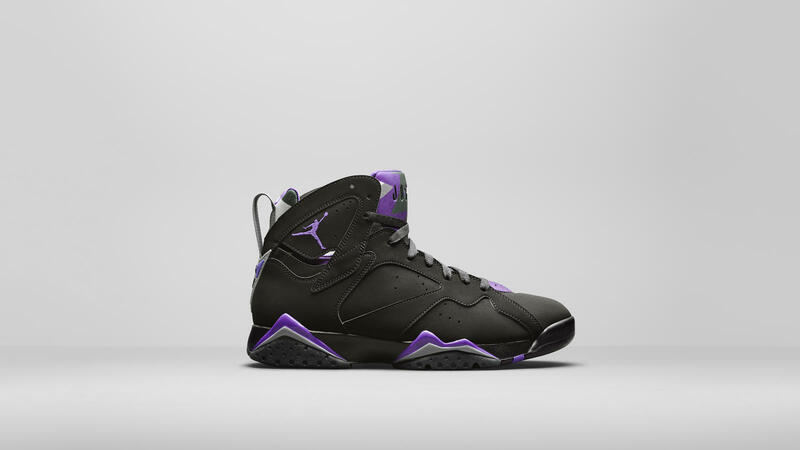 I also expect these to release in GS sizing, but not toddlers or infant sizing. Retail price will be $190.